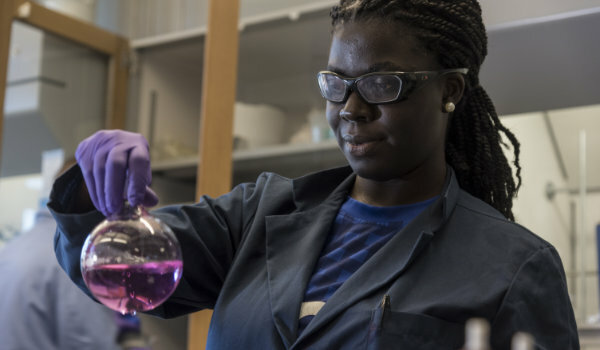 The B.A in Chemistry is designed to provide the student flexibility in the breadth of courses taken across the University while also providing a firm foundation. The B.S. in Chemistry emphasizes breath of training in chemistry, and is highly recommended if students plan to seek an M.S. or Ph.D. in chemistry. The degree also is an excellent choice for those who plan to be employed in the chemical industry, or in related industries such as the pharmaceutical industry. The B.S. in chemistry is accredited by the American Chemical Society.